With Mother’s Day right around the corner, I thought I would take a moment to honor all of the moms out there. Being a mom is not an easy task and at times it is a selfless, thankless job with mandatory overtime, but the benefits far outweigh any of the other. 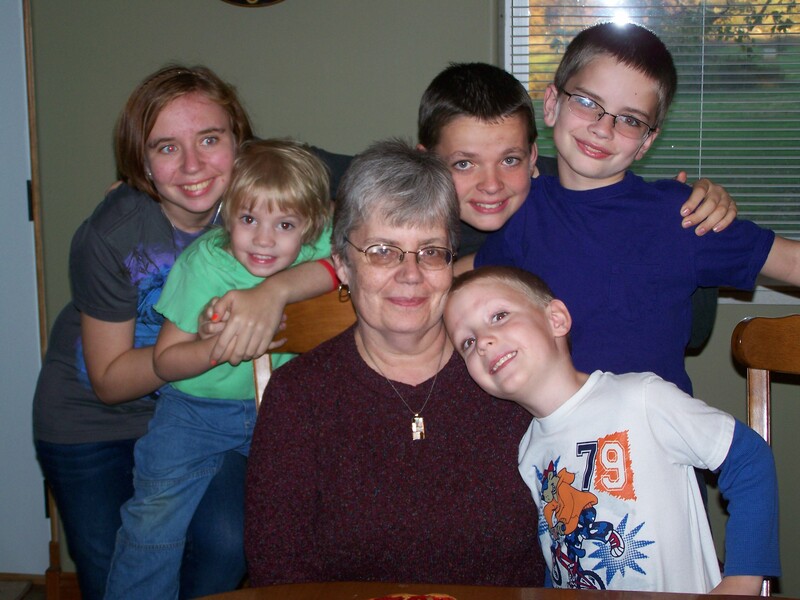 It is truly a privilege to be a mother to my five kids. I do not take my job lightly. I know I am helping to mold them into men and women that will impact the future. I was very fortunate to have such an incredible mother growing up. I would like to dedicate this blog to my mom and what a positive impact she has had on my life. From a very young age, I remember my mom taking the time to teach me various things; cooking, baking, crocheting, just to name a few. She also taught me volumes by her actions without even knowing it. I learned to help and give of myself to others, as well as, the importance of God and having a relationship with Him. Even as an adult, I call her with questions regarding cooking, health concerns and/or things with the kids. She takes the time to help me or even finds the answer to something she does not know. Growing up, my mom’s cup was always half full, if not running over. She had a way of looking for the positive in people, as well as, situations. I struggle with this from time to time, but I realize how beneficial it is for not only myself, but also for my family. Not only was my mom available when my brother and I were little at home, both before and after school, but she also created a welcoming environment. There is a huge difference between a house and a home. A house is simply a structure used to provide shelter. A home is where kids feel loved, safe and secure to be themselves and to grow into what God desires for them. A home provides the nurturing environment for this to take place. My mom has always been my biggest cheerleader. Whether it was attending countless band competitions, in all kinds of weather, or helping me prepare for a test or for being away at the Indiana Academy; she has been there helping and encouraging me every step along the way. My brother and I were encouraged to strive for our dreams no matter what anyone else was saying. We knew mom was in our corner cheering us on. My mom is such a real, genuine person. You never have to guess what she is truly like behind the mask because she does not wear one. My mom also does not pretend to have all the answers or have it all together. I believe this is why she is so approachable. She has shown me the importance of finding my identity in Christ alone and not be pulled by others into their mold for me. My mom is such an important person in my life. God has truly blessed me with her. I pray that I can be that kind of mom to my kids. I encourage each of you to thank your mom, or the mothers in your life, for all she does, not just on Mother’s Day, but also throughout the year. That’s our Kay. She is an inspiration to everyone she meets. Very well-written, Jamy. I want to thank Jamy for honoring me in this way. I just want to say that I had wonderful examples in Aunt Lucy who was a very special Mother to me and also Grandma Thompson.